The Racine Fire Department places an extremely high value on fire and EMS training. This is what makes us so darn good. Repetition, and the introduction of new skills on a regular basis keeps our members in touch with the current best practices in fire suppression and Advanced Life Support. One Division Chief of Training is dedicated to coordinating and teaching of fire fighting skills, while the other Division Chief of EMS is dedicated to coordinating and teaching Emergency Medical Services, and Paramedic skills. Each area has specific annual requirements. Our goal is a competency based modelPI Accident 3 of education where each fire fighter or paramedic periodically demonstrates competency in fire fighting and EMS. This competency-based model requires hours of classroom training on an annual basis. The fire department also has takes advantage of low or no cost training opportunities available on a regional, state and nationwide basis. A prime example is training sponsored by Wisconsin Emergency Management (WEM) and the National Fire Academy (USFA-NFA). The problem-solving model used in non-emergency situations consists of five areas where we focus our efforts on preventing problems within the organization. The model for emergency decision-making is called the Incident Command System (ICS). ICS is the most current operating system available, and allows us to deliver safe and effective emergency services despite limited resources. In ICS fire fighters and paramedics use the same pattern of response and decision making every time, regardless of whether the incident is a fire or medical emergency. The benefits of ICS include a reduced stress level for responding fire fighters and paramedics, improved safety on the scene of an incident, and faster deployment of resources. ICS depends on proper staffing and training. 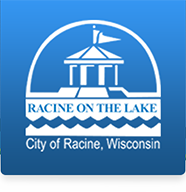 Failure to adequately staff the City of Racine Fire Department and train personnel may result in unnecessary injuries to the citizens of Racine, our visitors to Racine, fire fighters, paramedics, and/or additional damage to property. Arriving quickly and being unable to perform emergency operations due to inadequate staffing places us in a position to witness the emergency and not intervene. Special attention is given to safety and wellness programs. Active member wellness programs will reduce the risk of duty-incurred injuries and help prevent long-term occupational risks. A fire fighter or paramedic with a 30-year career represents a significant investment for the City of Racine. There is no crystal ball. We cannot physically foresee what the future will bring. We can make reasonable predictions on future events but there are no guarantees about what we can expect at any given time, on any given day of the week. Bad things happen in good cities. Are we prepared and properly staffed?